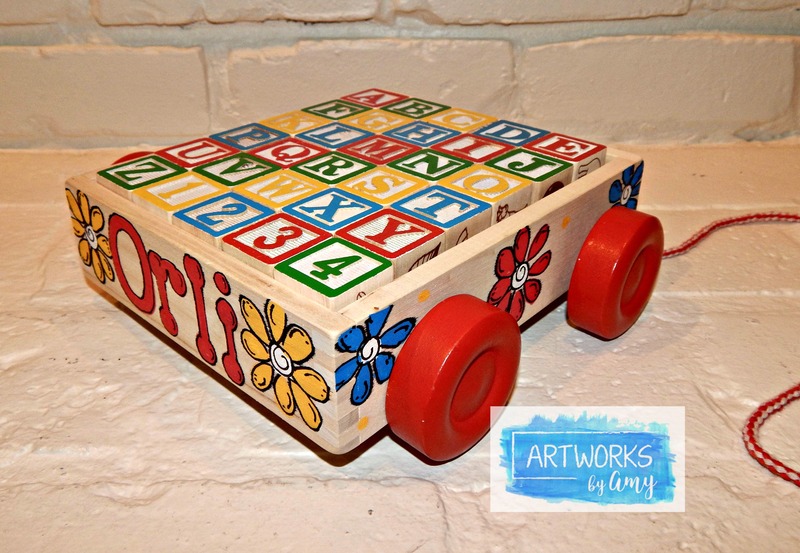 This sturdy, wooden block cart features 30 solid wood traditionally styled one-inch cube blocks with a colorful collection of pictures, letters and numbers. 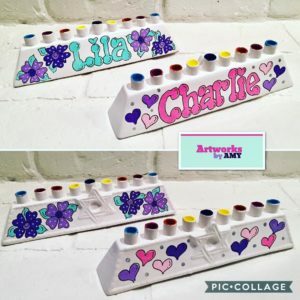 Perfect for working on letter recognition and play at the same time. 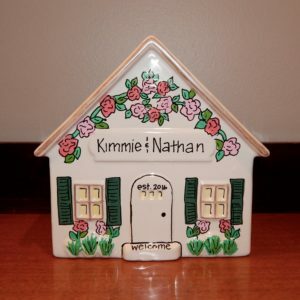 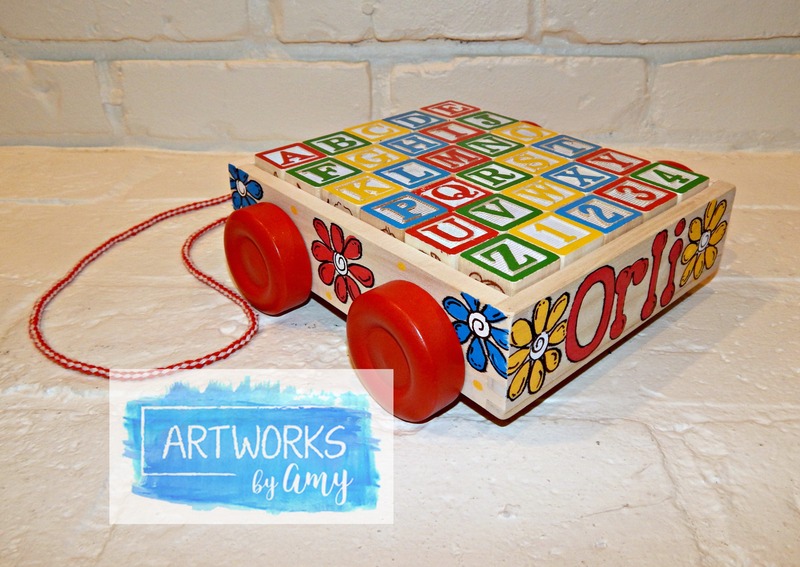 Hand Painted in one of our fun designs, and personalized in colors that match the blocks, this toy will provide your chlid with hours of fun learning.